The ideal sofa bed for dogs should be one that has enough space that you pet can fit into and is comfy to sleep as well as rest. The next step and problem are choosing the right kind of sofa bed and that your pooch will like to use. Also, there are some significant things that you need to know about pet sofa beds in case you actually buy one. 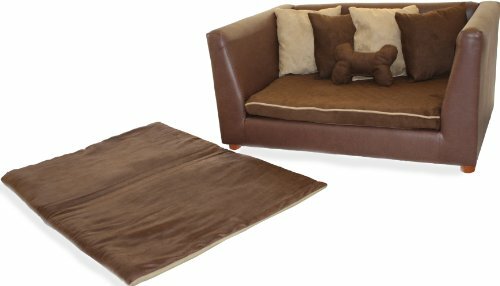 Why Should I Buy Dog Sofa Beds? The reasons for buying sofa bed for dogs is to make sure that the pooches have something to rest after day’s worth of activities. The canines also need something comfortable and soft to sleep. Furthermore, such dog bed sofas are a godsend for aging fidosthat need to rest their weary limbs and joints. Your pet having its very own sofa bed to sleep on makes it less dependent on you when it's time for a nap. Some pooches may not sleep comfortably without their owners beside them. Also, some studies about sleep have shown that a majority of dog owners suffer from sleep problems due to their canines sleeping with them. On the other hand, you can put your pooch in its bed while putting the latter near you during sleep time. Need for a dog sofa bed – – If you are a bit allergic to your pet, then it needs its personal bed as well as space for naps or sleep. A doggie sofa bed can keep your canine warm and prevent it body from getting calluses. Also, your fido needs it own personal space which a sofa bed can provide. Lastly, most sofa beds are easy to take with you when traveling. Easy to clean and wash – Your dog will stain its bed with urine, saliva, sweat, food, etc. So the ease of washing, frequency and the removal of dirt of the bed are important. Also said bed must dry fast enough and thoroughly. Allergic canines benefit a lot from a thoroughly washed sofa bed. Elevation of the sofa bed – At a casual glance, it may look like that a dog sofa bed set on ground level is easy for canines to get on and off. Actually, elevated sofa beds make it less stressful on the fido’s joint when getting up or down. Aging pooches can really use this feature due to their bones. Also, the sofa bed’s elevated height facilitates the flow of air thus cooling your pup when it reclines on it. The right size for a dog – Well obviously putting a large dog breed like for example a Golden Labrador Retriever in a small couch bed not a good thing. Thus you must take the size of your pet into consideration when looking for a sofa bed. On the other hand, a big dog sofa bed will fit right in with a smaller dog breed. Though it is a brilliant idea to get one bed for multiple pets, take into consideration if your dogs or cats are willing to share. The number of sofa beds – Obviously you don't need more than one bed if you only have a single pet. However, you could get a large dog sofa bed for two small canine breeds and if the two of them like to share the same sofa bed. Nonetheless, if you have more than one pooch, it is best if you buy at least two. Also having an extra sofa bed is useful especially if your dogs like to have their personal space or likes to gnaw a lot. Comfortable for your pet –Sleeping or resting on comfy and elegant dog beds ensures that your pet will have nice rest from a hard day of physical activities. Dogs that are advanced in age or have joint problems will need such a bed to rest that would give them relief. Sleeping position –The size and shape of pet sofa beds must accommodate how a fido sleeps. Curved and round sofa beds are good for a canine that curl up. Beds with lengthened fronts are for dogs that stretch on their bellies, backs or sides when sleeping. Lastly, pooches that like to lean their heads while resting on their sides will fit right in an upholstered sofa with a low profile and extra-cushioned arms. Couches for dogs must be flame retardant so make sure that you get such a sofa bed when buying. A flame retardant sofa bed prevents the start or at least slows the spread of a fire. If your fido likes to chew and does it heavily, then its bed will be next on its chewing list. Examine the sofa bed and see if there are signs of chewing since it is likely that your dog ingested some material. Get a fully-washable leather dog bed since it ensures that any dirt within and without is removed along with bacteria. Your pet lying or sleeping on a sofa bed that is unsanitary due to not fully-washed can cause nasty illness. A self-warming leather dog bed is an excellent way to keep your dog warm, but make sure that the heat is something that your pup can handle. Otherwise, the self-warming sofa bed might injure the animal. However if your pooch does not need a self-warming bed, then get a regular one. Make sure that the mattress of the bed is made from safe and non-hazardous high-quality materials. Polyurethane or poly fiber foams are usually the materials used, and they are certified by CertiPUR-US. Below is a large selection of sofa beds for your pet be it small or large-sized breed. This mini dog sofa is perfect for pooches whether they are adults or puppies and it gives them maximum comfort to get a good night’s rest or a simple nap. FurHaven’s Orthopedic Sofa-Style Couch’s foam base can make your canine’s pressure points and joints comfy as will support them. 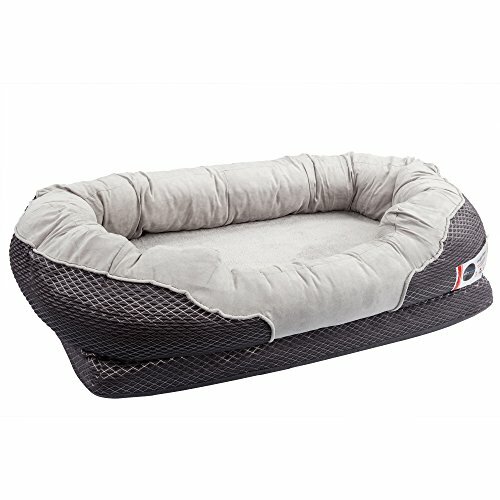 Indeed this item is a beautiful bed for your dog as well as cats if you have some. This small couch bed is ideal for indoor locations like the living room, bedroom, office, and other comfy living space. A crate or a kennel works well along with the bed, and you can bring it along in your travels to make a little home for your pooch. 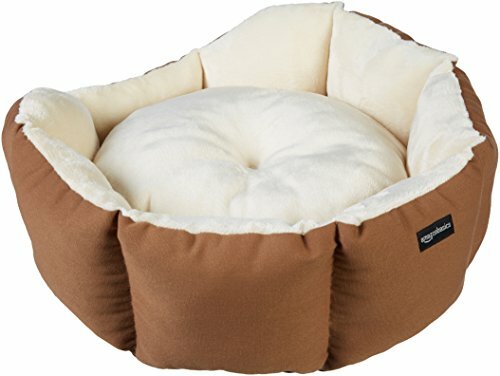 The AmazonBasics 20-inch Pet Bed’s octagon shape allows your pet curl up in a ball for a rest or snooze. 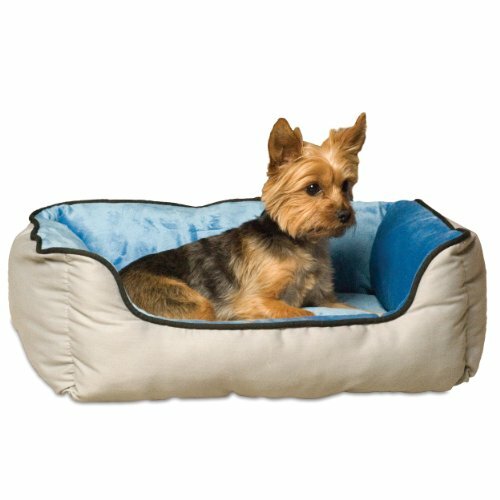 The bed’s raised sides and plush flannel allows your dog to lay down in softness with strength. If you are looking elegant dog beds with elevation and can keep your dogs cool, then K&H Pet Products’ Original Pet Cot Elevated Pet Bed is the product you want. This pet cot is ideal for warm or hot months in spring and summer. Additionally, K&H’s Original Pet Cot classic hammock design is usable indoors or outdoors, and it can be conveniently carried for traveling. The best-rated couches for pooches are the ones that provide optimum support to the bones and give a safe place to rest the canines’ heads along with hips. Friends Forever Orthopedic Dog Bed Lounge Sofa possesses these particular traits and is cozy as well. 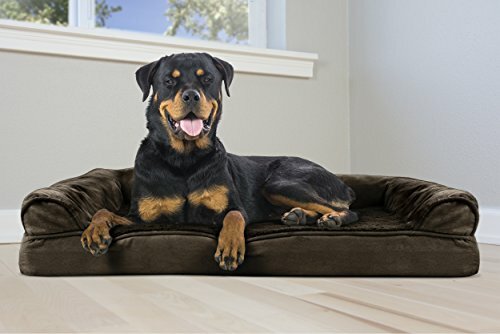 This luxury dog bed despite its soft and soothing material is durable thus will last for a long time. The best-rated couches for pets are not just comfortable and stylish, but they should also be able to keep your dog (or cat) warm while they rest. 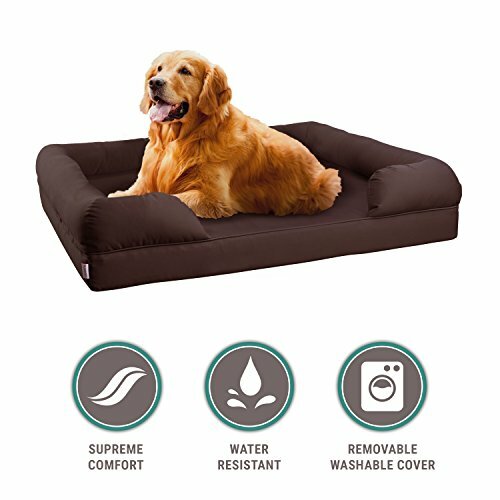 K&H Pet Products Self-Warming Lounge Sleeper Pet Bed has a unique 2-layered fabric that insulates the heat it captures and reflects said temperature to its source which is your pooch. No electricity is required, and this doggie bed is easy to wash. 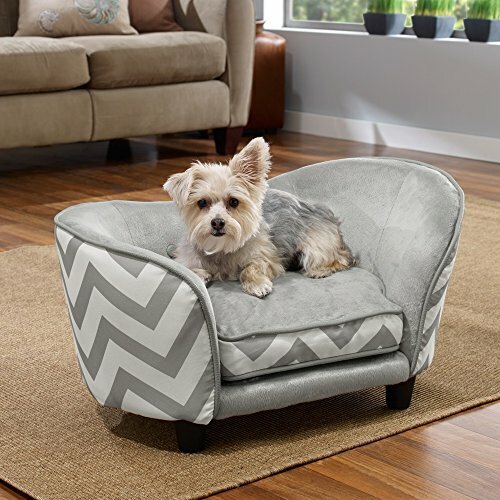 This dog sofa bed comes in gray/blue colors and comes in Small, Medium and Large sizes. 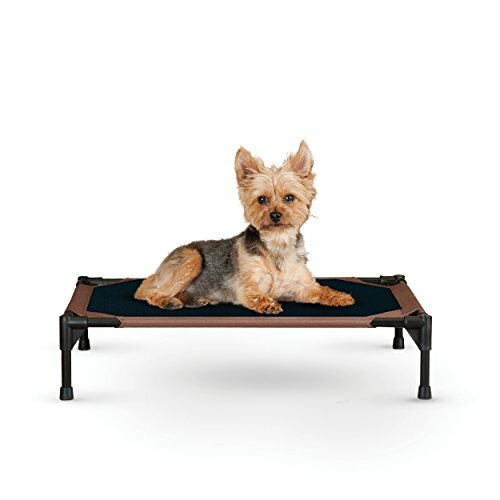 The Enchanted Home Pet Snuggle Pet Sofa Bed is an elevated small couch bed designed to keep your dog free from cold draft. The sofa bed’s cushioned arms are perfect for pooches who like to lean on them while they recline. You can also easily remove the bed’s cushion for cleaning. Unlike other dog bed sofas, the Dallas Manufacturing Co. 29-Inch by 19-Inch Faux Leather Sofa Bed has a luxurious curly fursleep area and a distressed soft faux body made from leather. These properties of the sofa bed make reclining or sleeping supremely comfortable for your pooch. Hence this sofa bed is a favorite item for dog lovers. The dog couch also has a fragrant smell that your pooch will like. 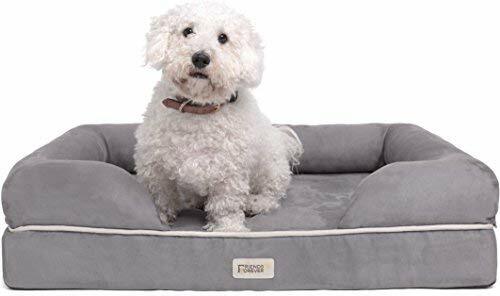 If you want a couch dog bed that has been crafted by top-of-the-line artistry using premium materials, then you will find the BarksBar Gray Orthopedic Dog Bed to be to your liking. This dog sofa is not just a high-quality, well-made bed, but it can provide a comfy place for your pooch to rest or sleep. Canines with ailing necks, heads, joint, bone and arthritis problems can find relief when reclining in this bed. 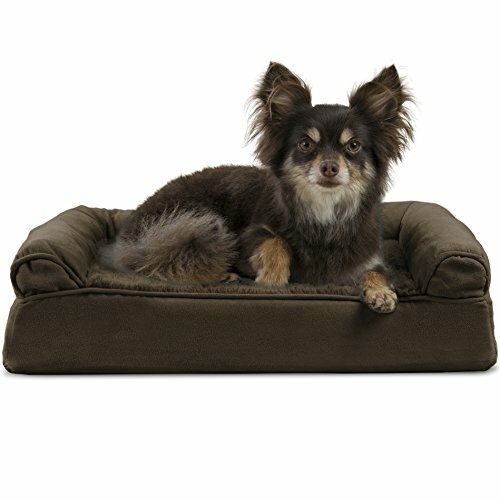 Most pet sofa beds don’t come with extra stuff, but Keet Deluxe Orthopedic Memory Foam Dog Bed does include those when you purchase it. If your pet’s size is medium or large, then it will fit snugly in this soft and comfortable bed. The Micro Zippered cushion is designed to be resistant to stains and easy to cleanin a washing machine. A full set comes in various colors and styles of fabrics. The perfect pet sofa beds should be able to accommodate puppies and adults as well as canines experiencing joint and limb problems. 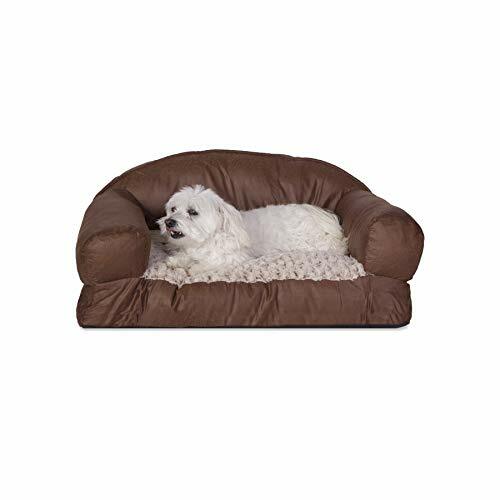 The FurHaven Pet Dog Bed Orthopedic Ultra, Plush Sofa-Style Couch Pet Bed for Dogs & Cat, is one of these beautiful beds that give the ultimate coziness when resting or sleeping. Another beautiful thing about the sofa bed is the ultra plushfaux-fur surface that feels soft to fido’s nose and paws. 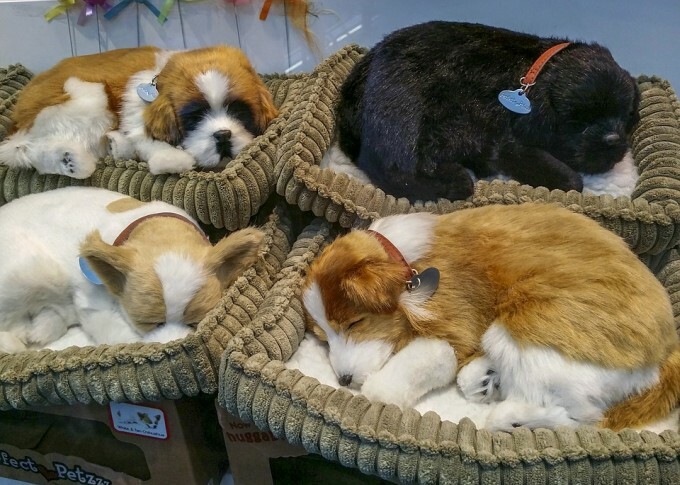 You choose up to four sizes to ensure that your pooch will fit snugly it the selected bed. However, this dog sofa bed is not for pets that have a teething problem. The best couch dog bed is usually the one that is made from high-grade fabrics that are strong, but at the same time, they are comfortable as well as soft to a pooch’s touch. 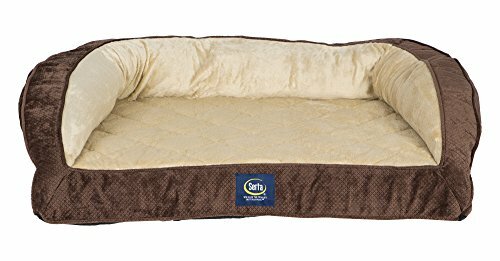 The Serta Ortho Quilted Couch Pet Bed is made from such a material, and the best part is that the materials are assembled using 100% CertiPur US foam. Also, this large dog sofa’s base is surrounded by couch-like bolsters on three sides which in turn provide a place for your pet’s head to rest and some additional support. Serta Ortho Quilted Couch Pet Bed comes in one size (Larger), and you can choose different colors. Dog bed sofas that can fit pooches of all sizes are the best gift you can give to your pet. The Petlo Orthopedic Pet Sofa Bed can accommodate your dog no matter what its size and you can be guaranteed that the bed is of high-quality make. Though this sofa bed requires some assembly, it takes only a minimal effort on your part, and it is easy to do as well. Despite the size and required construction of this large dog sofa, it is easy to remove its cover and wash it in a washing machine. The price tag of a sofa bed for dogs can be a bit high, so make sure that the item or product you are buying is genuine or does deliver the promise of comfort that it advertises. Also, make sure that you have specific expectations for a doggie sofa bed. For example, if you want self-warming pet sofa beds then try to find the best one available. If you want a functional yet decorative sofa bed,then focus on getting that type of bed. Just don’t forget the overall factor when buying beds namely how comfortable can such things be to your pooch. Another thing to bear in mind when buying elegant dog beds is the assembly method. Some of these sofa beds require some work to put together so try choosing the ones that are not so complex. Finally, buy a sofa bed that is easy to clean to save you a lot of unnecessary hard work. Comfy and soft dog bed sofas make your pet happy and content during its rest or sleep time. If you love your pooch, then it deserves the best place to relax after a day's worth of physical activities. You can't put a price on a restful nap or a good night's sleep so go and buy a suitable sofa bed for your dog.